Completely re-imagined and totally mobile, Acrobat DC will change the way you work with design layouts, press-ready files, and important documents forever. Boost productivity and security across your organisation with Adobe Acrobat DC. Give your users the tools they need to create, edit and sign PDFs – anywhere, on any device. And protect your systems and data with Adobe’s highest levels of security. Edit any file, even a paper one. Just snap a photo with your phone, then open on your desktop. Before your very eyes, Acrobat will magically transform it into a PDF you can edit on your tablet — complete with custom fonts that match the type in your original file. 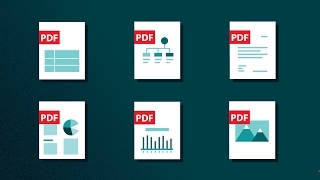 Combine documents, spreadsheets, emails, and more into a single organized PDF file. Turn your paper document into a PDF you can edit right away with fonts that look just like your original — even from your iPad. Give and get fast, clear feedback using a touch-friendly interface. Don’t just black out confidential data. Find and get rid of it for good, even in metadata. It’s easy to add audio files, video files, and interactive objects to your PDFs. Send legally binding documents that recipients can sign from anywhere, worldwide, in a browser on a mobile device. Collect form responses with fillable PDFs. Invite people to return PDF forms via email. Automatically collect all responses in one file. Use Acrobat to help you spot the differences between two versions of the same PDF file. *10.11 Support – refer to the Known Issues document for details. * *The Send for Signature tool – which is included with Acrobat Pro DC subscription plans – relies on cloud services provided by Adobe Sign and has unique browser requirements. Adobe After Effects CC is available as a standalone application or as part of the Creative Cloud Collection on both monthly and annual plans plans.